Looking for our weekly RealMadridTalk podcast? 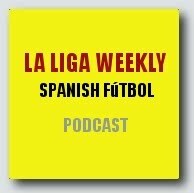 El Clasico is prime time and our panel discuss it but youll have to visit our sister site SerieAWeekly for the post. Our Italian soccer fans are being introduced to the main event in Spain with this weekends feature of Real vs Barca.